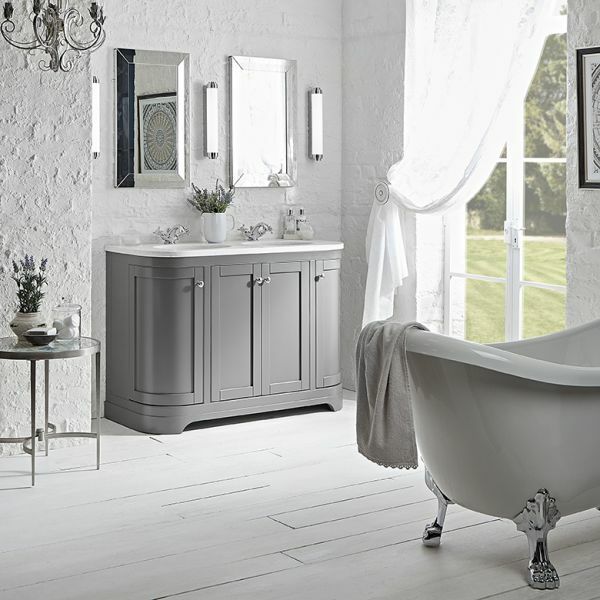 Combining superb craftsmanship with stunning cabinetry this stylish 1200mm curved freestanding bathroom unit features 4 doors, and a single internal shelf to store all your toiletries. This unit comes with a choice of options. 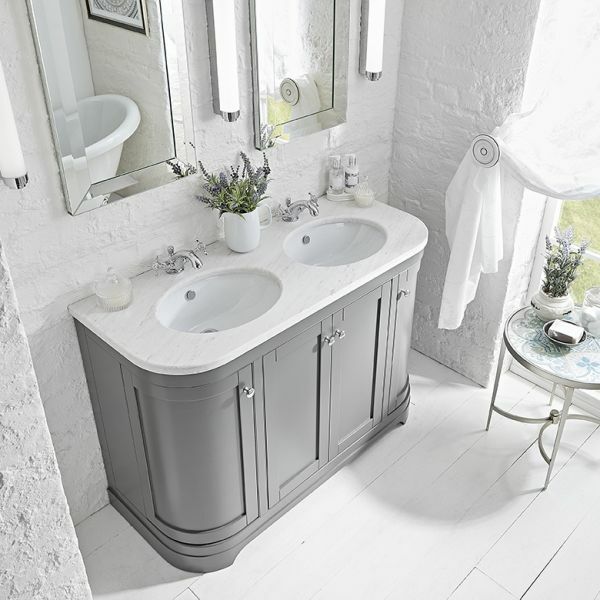 Choose from a single or double underslung ceramic basin and either single or double honed marble or stunning carrara/white solid surface worktops. A complete breakdown of the pricing for the Marlborough 1200mm freestanding curved double basin unit with worktop & underslung basins. 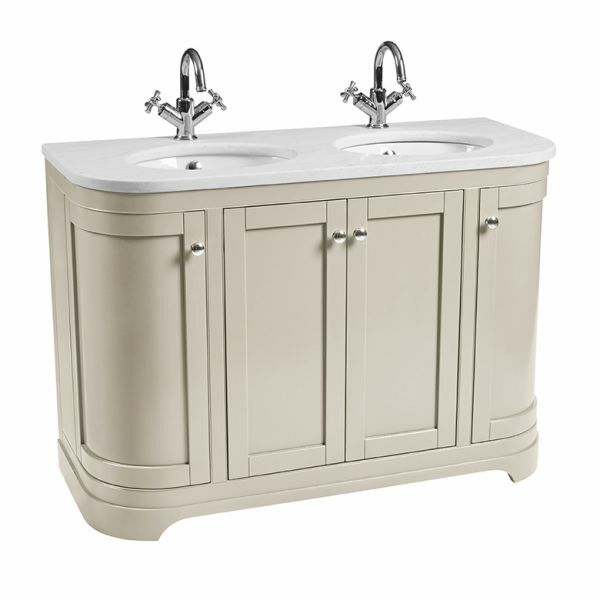 To complete your Marlborough unit & basin choose from our collection of stylish worktops. All sizes and finishes are listed below and are available to purchase separately. Optional porcelain handles are available to purchase separately.